HOME WITH POOL (Heated, Inground) in Bentonville FOR SALE! Located in established neighborhood, "The Orchards" located across from Elm Tree Elementary in Bentonville, Arkansas. AWESOME HOME FOR ENTERTAINING!!! Inside and Out! Fabulous outdoor living area and POOL! 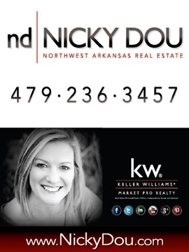 Awesome Home in Bentonville, Arkansas!